very enjoyable read. Kate is such a sweet kid, dealing with issues that seem like the end of the world to a 13 year old, like moving in the middle of the school year. She wants nothing more than to have a horse, but her parent’s financial situation isn’t great. 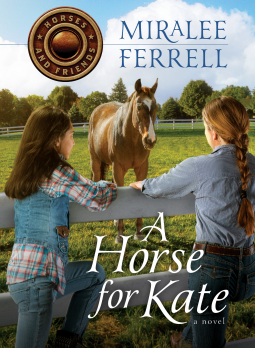 Any horse loving teen will love reading this book. An excellent story that I would have loved when I was a teen, and I still loved as an adult.